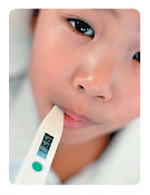 Flu season is ahead and the call is out to get vaccinated. Flu season is ahead and a flu shot is great protection. Doctors say you can also boost your body’s immune system with some natural flu-fighting foods. Green, black and oolong tea all deliver compounds that reduce the risk of flu. One of my favorite treats, yogurt, also strengthens the immune system. Probiotics, the beneficial bacteria found in yogurt can help cut down on illness. To get the most health benefits from yogurt, look for “live and active cultures” on the label. I find yogurt helps me cut fat, calories and cholesterol by using nonfat and low-fat yogurt as an alternative to mayonnaise and sour cream in dips, sauces, baking and dressing recipes. For example, adding two or three tablespoons of plain yogurt to one cup of low-fat vinaigrette bottled dressing creates a creamy and delicious “homemade” tasting dressing. 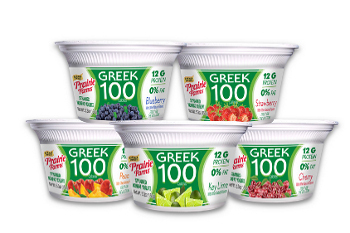 A farmer owned dairy in my area, Prairie Farms, introduced a new line of 100 calorie Greek Yogurt a few months ago and I love it! It comes in five flavors: blueberry, cherry, key lime, peach and strawberry. Each 5.3-ounce cup contains authentic strained nonfat yogurt made with natural ingredients and produced using milk from cows not treated with artificial growth hormones. Plus each cup contains 12 grams of protein and the yogurt is naturally sweetened with Stevia and free from artificial sweeteners, flavors and colors. Another reason I look for this yogurt in stores is that Prairie Farms Dairy represents over 700 farm families and their distribution network covers over 30 percent of the United States. The dairy also helps families in need and non-profit organizations. The Prairie Farms charitable giving program, Our Caps, Your Cause, supports a variety of non-profit organizations and gives consumers a voice in helping local causes. I think it is a tasty way to eat well, stay well and help others at the same time! This entry was posted in Uncategorized and tagged calories, cholesterol, fat, flu, Greek Yogurt, low-fat yogurt, nonfat yogurt, Our Caps Your Cause, Prairie Farms Dairy, Probiotics, recipe, Yogurt by Danita Blackwood. Bookmark the permalink.